Mexico City, once the biggest city in the world and still the biggest city in the Americas, has more than enough museums to keep its 20 million + residents satisfied: over 100, the most of any city in the world. An exact count is not really possible considering that new museums and galleries open every month, but seemingly every subject is covered. Do you like classic cars? Check out the Museo del Automóvil (Automobile Museum), in the south of the city. Are you fascinated by European decorative arts? You won’t want to miss Museo Franz Mayer, near the Alameda Central and home to a rich collection of tapestries, furnishings, and garments. Eager to learn more about the struggle for indigenous women’s rights? 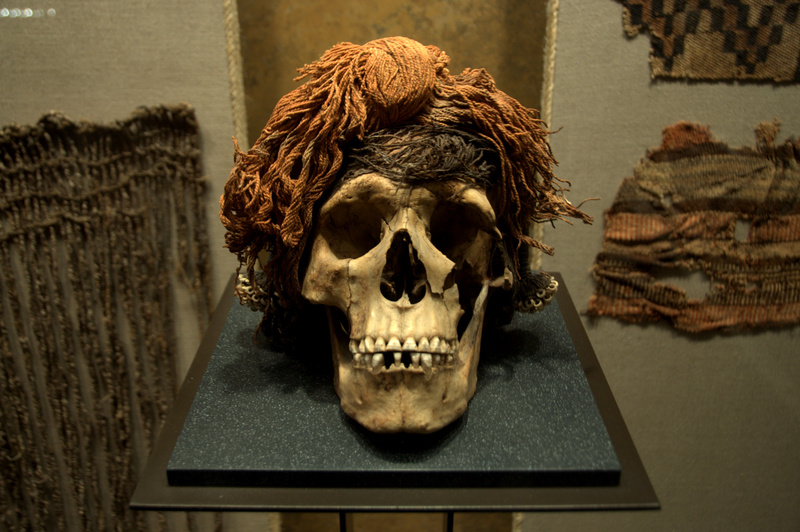 You should visit the Museo de la Mujer (Museum of the Woman), a few blocks east of Plaza Garibaldi. Curious about the agave harvest? The Museo del Tequila y El Mezcal, (Museum of Tequila and Mezcal) in Plaza Garibaldi itself, is for you – and admission includes a free tequila shot! Some of the museums are real oddities. The delightful Museo de Arte Popular (Popular Art Museum), housed in an Art Deco firehouse south of the Alameda Central, displays fanciful alebrijes – colorful folk art sculptures that feature in an elaborate parade each October. 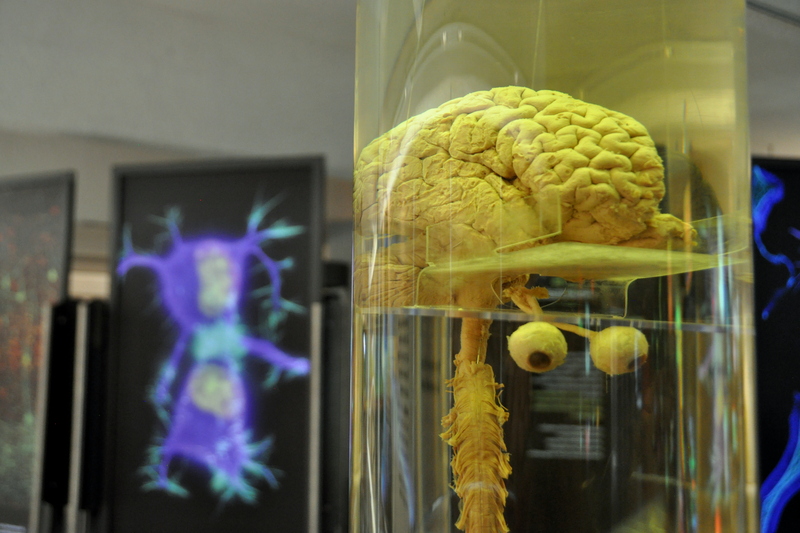 The Museo de la Medicina (Museum of Medicine), near Plaza San Jacinto in the Centro Histórico, has more exhibits of aborted fetuses and genital warts than even the strongest stomach can handle. The adjacent Museo de la Inquisición (Inquisition Museum), which shares the same building, is of the disturbing-and-yet-I-can’t-avert-my-eyes variety. And Anahacualli, south of Coyoacán, is a cool and spooky stone hacienda that resembles an Aztec temple of sorts and that houses Diego Rivera’s formidable collection of pre-Hispanic idols. 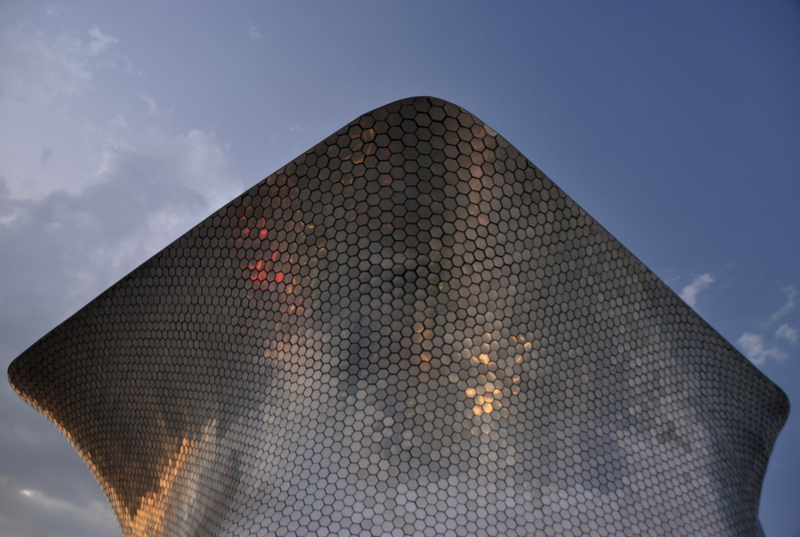 2) Museo Soumaya –Plaza Carso: For the past two decades, the upscale Plaza Loreto shopping center, in San Ángel, has housed a free museum displaying the art treasures, including several Auguste Rodin sculptures, that ended up in the private collection of Mexico’s richest man, telecom billionaire Carlos Slim. I can think of worse ways to spend a Sunday in CDMX than grabbing brunch at the Plaza Loreto Sanborns, taking in a movie or open-air concert, and spending a few hours perusing not only Slim’s collection but the rotating temporary exhibitions as well. That being said, the Plaza Loreto Museo Soumaya is almost an afterthought when compared to its Nuevo Polanco cousin, the Museo Soumaya at Plaza Carso. An overwhelming collection of art, ranging from religious iconography to French Impressionism to Mexican Modernism, are displayed across six storeys, connected by ramp similar to the Guggenheim Museum of NYC. To most visitors, the best is saved for last when they reach the top floor, where an impressive collection of sculptures by Rodin, Salvador Dalí, and others – many of them over six feet tall – take center stage. For me, however, I was more impressive by the building itself. It resembles an anvil from the outside, and its shell is encased in reflective, hexagonal silver tiles. Oh, and if you’re wondering, the Plaza Carso museum, which opened in 2011, is named after Soumaya Domit, Slim’s late wife, who died of kidney failure in 1999. Open daily. 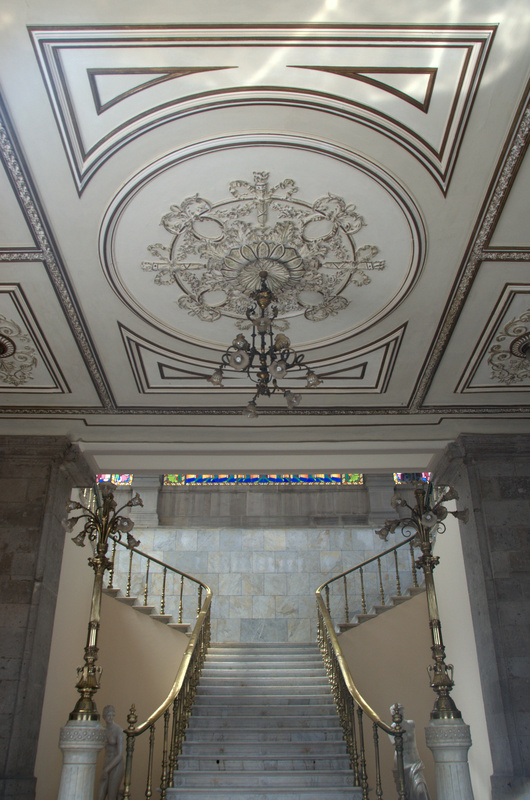 3) Chapultepec Castle: Did you know that Mexico City is the only city in the Americas with a proper royal castle? El Castillo de Chapultepec, the hilltop castle in a park named for its resident grasshoppers, once housed “Mexican” royalty in the form of Emperor Maximilian I, the Austrian-born monarch who, after the first of what would be several battles for Mexican independence, ruled Mexico for just four years (though some would say four years too many). Maximilian’s occupation, however, was not the only instance of the castle being taken by force; it was invaded by the U.S. 20 years earlier, and a moving monument to the Niños Héroes (“boy heroes”) – six Mexican teenage soldiers who died defending the castle from gringo invaders – dominates the main entrance to Chapultepec Park itself. Post-revolution, the castle housed the president of Mexico until 1939, when then-president Lázaro Cárdenas bequeathed the castle and grounds to the country, declaring it the home of the National Museum of History. It remains as such today, and the self-guided tour takes through such ornate chambers as Empress Carlotta’s bedroom and past several politically-charged murals, such as David Alfaro Siquieros’s “Porfirism of the Revolution,” pictured below. As an added bonus, the uphill stroll to the castle passes the shell-shaped Museo de Caracol (literally, “Shell Museum”), which displays Mexican military history chronologically via a series of dioramas and miniatures. Closed Mondays. 4) Museo Nacional de Arte: The former Palace of Communications building now houses the country’s national art museum, which features a classical, pre-1950s collection of mostly-Mexican art. A grand staircase leads to the upstairs galleries, which house the bulk of the museum’s permanent collection. You can expect to find colonial-era portraiture and the requisite nativity scenes but you’ll also find a pair of striking, post-WWII canvases by Rufino Tamayo, and a few pieces by Mexico’s favorite artist couple, Diego and Frida. Considering that most Frida Kahlo paintings are in private collections, it is always a nice surprise to stumble upon her work, of which there is surprisingly little on public display, even in Mexico. Don’t the indigenous totems –some of them phallic – by sculptor Demián Flores, or the mournful depictions of the conquest of Mexico. My favorite canvas, however, is the allegorical, full-wall “Glorification of the Immaculate,” by Francisco Antonio Vallejo. Ultimately, the Museo Nacional de Arte doesn’t have the must-return-often vibe that other museums on this list possess, but if you’re in the city and have never been, it’s worth seeking out. Fun fact: The front courtyard, including a large equestrian statue (by Manuel Tolsá) of Charles IV of Spain, serves as a popular meeting point and has been featured in countless movies, including the 2015 James Bond film “Spectre.” Closed Mondays. 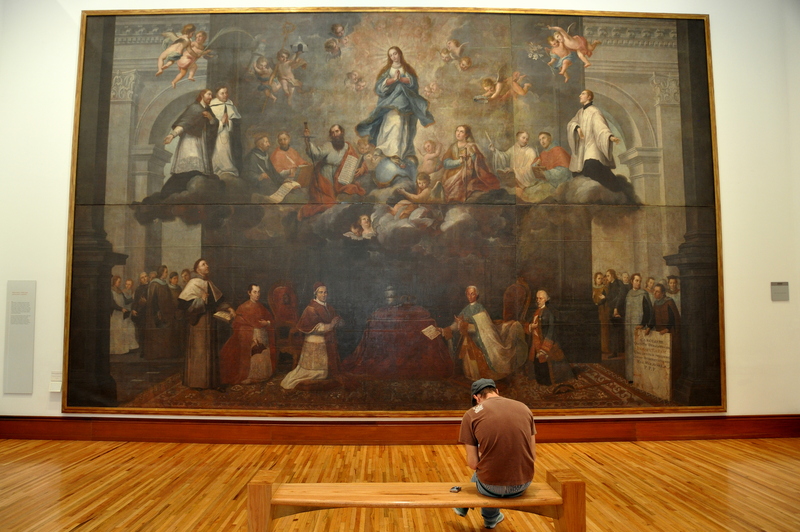 5) Templo y Museo del Carmen: San Ángel, west of Coyoacán, is one of my favorite areas of the city to explore. The corridor of leafy streets around Insurgentes Sur and Avenida Revolución is rich in dining, recreation, and cultural opportunities. Bazar Sábado, the city’s famous Saturday artists’ market, is held here, and the Plaza Loreto branch of the aforementioned Museo Soumaya (see #2 on this list) can be found here as well. My favorite San Ángel attraction, however, is the engrossing Temple and Museum of Carmen, a monastery-turned-museum of religious and decorative art. A trio of colorful domes on the east side of Revolución mark the location, but the on site church is set back from the street and its gated, wrought iron entryway gives the appearance of permanent closure, so the museum seems easy to miss. The proper entrance is just a few steps further, and it opens onto a small courtyard which, in turns, leads to the monastery, which was founded by Carmelites in 1615 when San Ángel was just a small Aztec village. 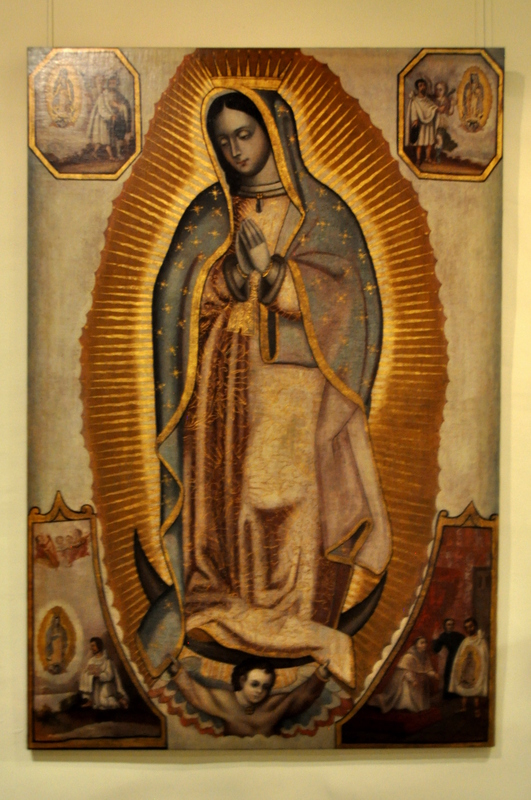 The permanent collection includes exhibits on the history of the monastic order, various 17th-century furnishings, and numerous depictions of Mexico’s patron saint, the Virgin of Guadalupe. A few allegorical oil paintings by Cristóbal de Villalpando are among the most acclaimed works in the museum, I was equally impressed by paintings of Saint Teresa, and of the Assumption of the Virgin, the artists of which remain unknown or unattributed. Go, and linger awhile in the rear garden or by the aqueduct patio, but don’t leave without paying your morbid respects to the museum’s subterranean mummies, which scholars believe are the skeletal remains of early Carmelite monks. Closed Mondays. 6) Tlatelolco Collectorate: Tlatelolco, a vibrant barrio bravo (brave neighborhood) north of El Centro, is “ground zero” for several key moments in Mexican history and the site of several related museums. For starters, the Plaza de las Tres Culturas (Plaza of the Three Cultures), where a Spanish colonial church is fronted by Aztec temple ruins and surrounded by high rise apartment and office buildings, is where a) Cuauhtémoc, the last Aztec ruler, surrendered to Hernán Cortés; b) a pro-democracy protest by college students on the eve of the 1968 Summer Olympics was suppressed…violently; and c) the bulk of casualties from the city’s devastating September 19, 1985 earthquake occurred. 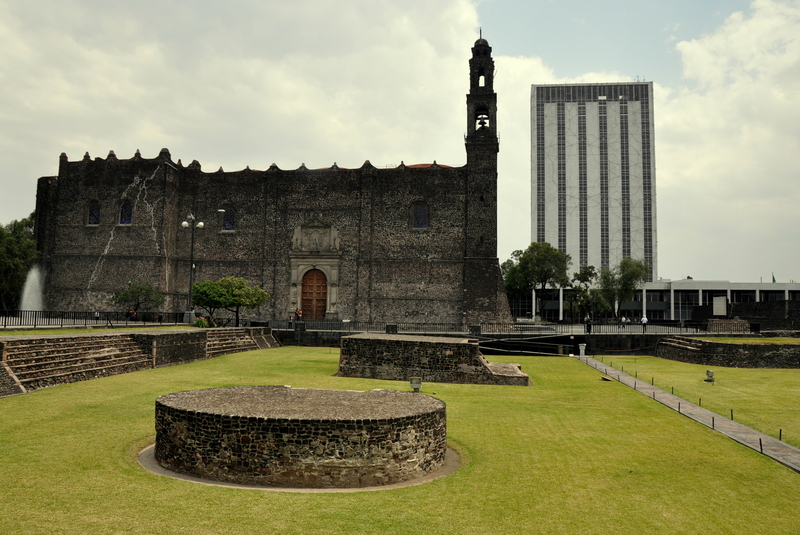 A self-guided tour winds among the Aztec ruins, while a series of museums in the adjacent Secretary of Exterior Relations building retell tales of earthquake horrors and heroism, display vibrant contemporary art, and feature pre-Hispanic pottery and idols from Tlatelolco and elsewhere. If that isn’t enough, a colonial mansion on the opposite side of Paseo de la Reforma, in neighboring Peralvillo, houses the interesting Museo Indígena (Indigenous Museum). A combination ticket grants same-day entry to all Tlatelolco museums except the Museo Indigena. Closed Mondays. 7) Universum: The massive campus of UNAM (the National Autonomous University of Mexico) is so big that it contains its own bus system and is a city within a city. Many visitors know that the main campus, south of San Ángel, contains a library that is famously ordained in murals by Juan O’Gorman, as well as a fútbol stadium that hosted the opening ceremonies of the 1968 Summer Olympics. Less famous, however, are the museums that are sprinkled about the campus. Of them, the best is surely Universum, a science and technology museum that ranks among the world’s best. The fun-for-all-ages exhibits include Apollo 11 moon rocks, Erector sets, early man skeletons, fun house mirrors, beds of nails, and toilets of the future. The grounds behind the museum, which back onto the craggy landscape left behind by Xitle Volcano (circa AD 250), include a few short nature trails that are worth checking out. Open daily. 8) Museo Memoria y Tolerancia: The moving Memory and Tolerance Museum, just south of the Alameda Central, opened in 2010 and is a respectable attempt by its Mexican curators to call out the horrors of oppression and intolerance from around the world. 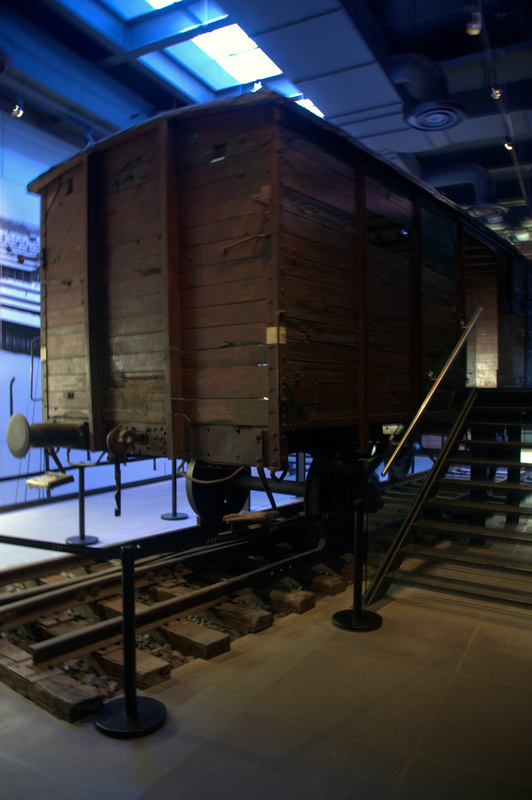 Considerable space is given to coverage of the Holocaust, with a preserved Auschwitz train being the centerpiece. While the Armenian genocide at the hands of the Ottoman Empire is given only cursory mention, more recent campaigns of horror, such as the slaughter of Hutus and Tutsis in Rwanda, U.S.-sponsored civil war in Guatemala, Khmer Rouge atrocities in Cambodia, and ethnic cleansing in post-independence Yugoslav Republics, are covered in sobering detail. Though not on par with, say, the Holocaust Museums in Berlin, Jerusalem, or Washington, DC, this Mexico City branch nevertheless merits two hours of your time, and is perfect for travelers with school-age children who hunger for knowledge. Closed Mondays. 9) Museo Dolores Olmedo: If you haven’t been able to tell by now, I love art. More than any other city in the Americas, Mexico City is blessed with a rich art scene, and this top ten list could easily have been comprised of just art museums. Dolores Olmedo, in Xochimilco, is a long journey from the centro by public transport, but worth the trip. From Metro Tasqueña, catch the tren ligero (light rail) to La Noria. From here, it is just a short walk to the private estate of Dolores Olmedo Patiño, a Mexican businesswoman and patron of Diego Rivera whose villa houses a veritable potpourri (love that word!) of surprises. The galleries inside house what is said to be the world’s largest private collection of Diego and Frida paintings, and several thousand pre-Hispanic sculptures. Visitors can also tour the late Ms. Olmedo’s private residence, which features china and other collectibles from her travels around the world. An impressive ofrenda (offering) to Olmedo, Rivera, or Kahlo (changing each year) is on display during the weeks surrounding Día de Muertos. 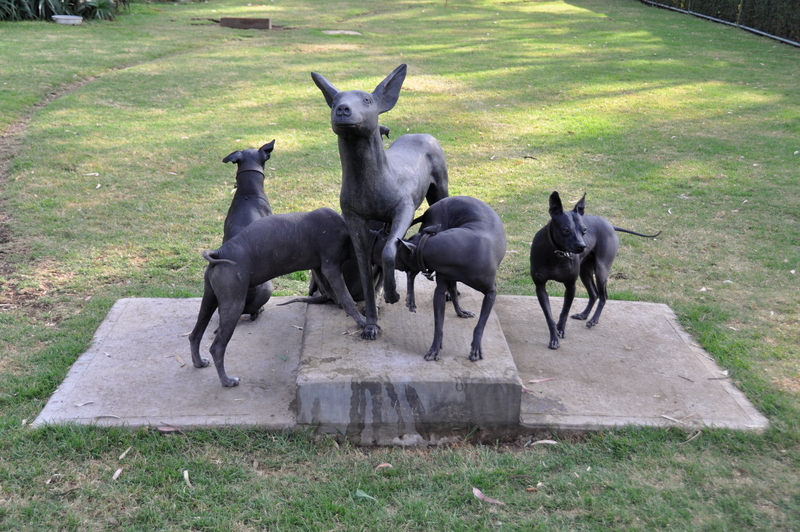 Speaking of Day of the Dead, do you remember the hairless dog from the movie “Coco?” Several Xoloitzscuintles, that dog’s real-life cousin, live on the leafy grounds, and for many visitors, seeing these rare dogs is a highlight of their visit. Closed Mondays. 10) Museo Juguete Antiguo: The Museo del Juguete Antiguo México, or MUJAM, literally translates as Old Toy Museum of Mexico. If you’ve been to Europe, you may recall visiting one of these museums and remember that it most likely housed dollhouses, toy soldiers, and Punch and Judy puppets. Not so here. A visit to MUJAC, in Colonia Doctores, is a sensory overload like no other. Half-Japanese, half-Mexican curator Roberto Shimizu Kinoshita’s father opened a toy store in CDMX in the 1940’s, and it seemed that for Roberto, the proverbial apple didn’t fall far from the tree. Three floors of eclectic toys, many of them long forgotten by popular culture, are displayed in a building that is barely big enough to house them. Matchbox cars, Rock-em, Sock-em Robots, “El Regreso del Jedi” (“Return of the Jedi”) action figures, H.G. Wells-era UFO miniatures, Spanish-language comic books, and entire cabinets filled with Barbies in various states of undress are among the treasures you’ll find here. 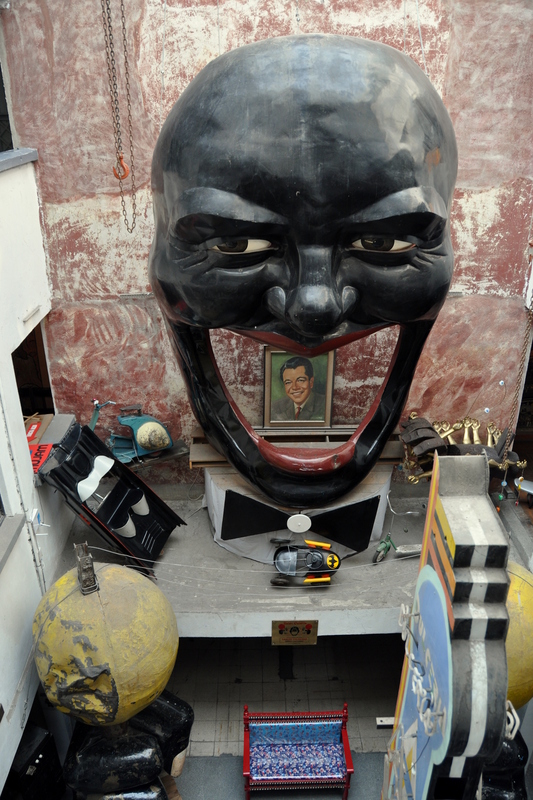 A full-wall cabeza (head) of a laughing, black-face entertainer dominates the back atrium of the museum, and as offensive as the representation may otherwise be, it somehow fits in with the overall vibe. I challenge you to look away. Open daily. 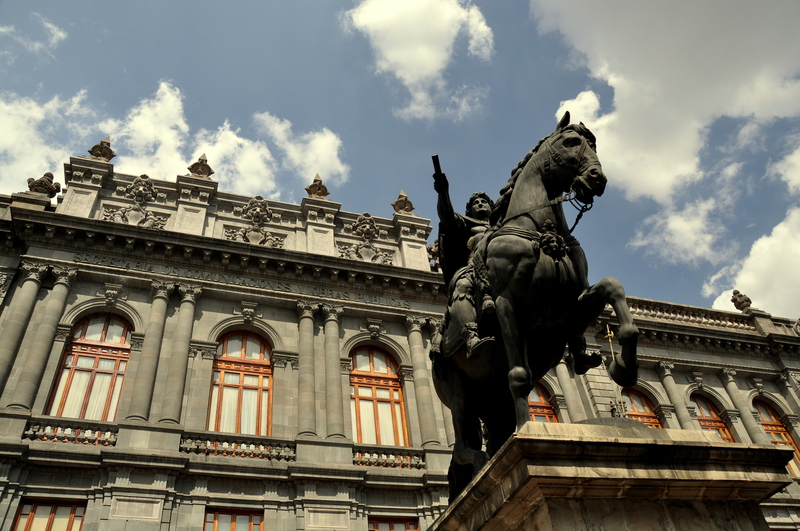 Have you been to Mexico City and had a chance to check out any of its museums? If so, what are your favorites? Let us know! Thanks, Scott, for the plug of my blog. I just returned home yesterday from another 5 week stay in Mexico City. I have been to all of the museums on your top 10 list with the exception of the “Universum”. I guess I will have to put that on my list of places to see. One museum that you did not mention that is one of my favorites is the Museo del Templo Mayor. Although overshadowed by the larger Anthropology Museum, it has an excellent collection of the thousands of objects uncovered during the excavation of the Aztec main temple. The collection keeps growing as excavations beneath the city continue. A couple years ago, a newly-discovered carving of the earth goddess, the largest Aztec monolith yet discovered, took the center stage in the museum. It replaced the large carving of the moon goddess… which is still part of the collection, and still very formidable. There is now a brand new entrance to the archaeological site and the museum located just to the side of the Cathedral. A return visit there is also on my list. Thanks for reading and responding – it was a great blog topic indeed, and hard to stop at just ten. I visited Templo Mayor on my first visit to the city in 2002, and definitely plan on making in back next time to check out the improvements. I hope you had good flights back to Gringolandia.